Bass & Reiner Gallery is pleased to present Test Kitchen Vol. 2 featuring Brion Nuda Rosch. The first Test Kitchen in December of 2017 saw Danish-American multimedia artist Mads Lynnerup utilize our space as a place of experimentation and temporary exhibition while developing his masterful “Bird on a shoulder”, a performative short film shot by and projected from unmanned aerial vehicles. 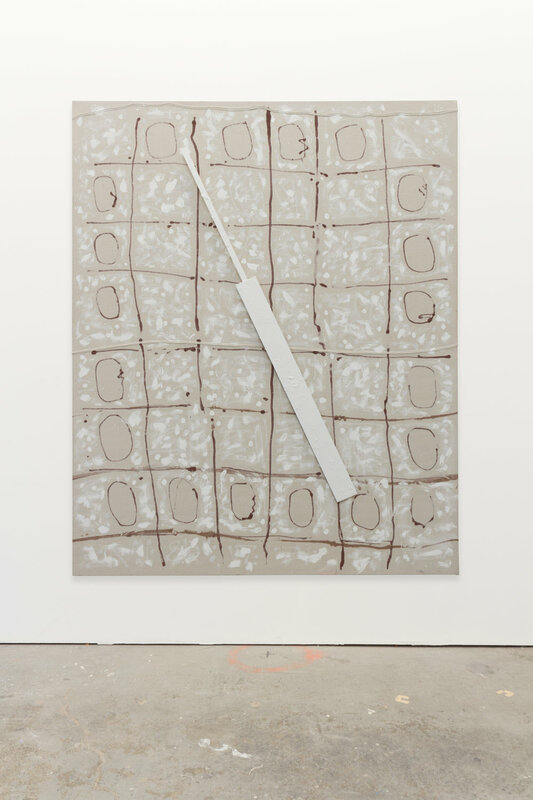 For this iteration of Test Kitchen, Bay Area based painter and sculptor Rosch will be taking advantage of our proximity to his studio (~300ft) and blurring the boundary between the two spaces, parading works across the divide, exhibition in both, emphasizing the physicality and temporality that underpin his current practice. The works themselves (primarily gesso and paint on the verso of thin stretched canvas) read as rough depictions of time keeping devices, their quick execution giving them the feel of drawings as much as paintings. Brion Nuda Rosch lives and works in San Francisco, he has exhibited his work at Guerrero Gallery and Et al., San Francisco; Halsey McKay, New York; DCKT Contemporary, New York; ACME., Los Angeles; Yerba Buena Center for the Arts, San Francisco; and The Atlanta Contemporary Art Center. Rosch was recently an artist-in-residence at UC Berkeley’s Ceramics Department. An SFMOMA SECA Finalist in 2011, he was the recipient of the Artadia Award in 2009.